One of my favourite things of last year was finally succeeding in hand making Christmas gifts. A seed of an idea was planted in my mind about what I wanted to do, I Googled and I found a great YouTube tutorial and to top it off, a link to the original blog post step by step guide. It was too good to be true. 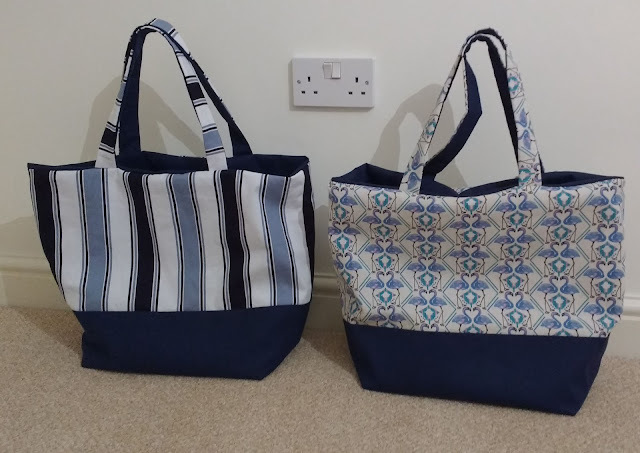 After much deliberation on what fabric to buy I eventually chose a solid navy for the base and two different designs for the main character of the bag. Did I not mention I was making bags? My bad. It was a tote/shopping bag I wanted to make. Something really practical. Something that might be of some use. Everyone likes a bag to sling shopping in, or gym kit, or just to hang on a door with stuff in just to keep it off the floor. A bag is useful. Back to the fabric. The two designs were both ones I felt would work and also would directly suit their new owners (in my mind). The cutting out of the pieces remained the most difficult and time consuming part, especially as I hate measuring and loathe trying to get everything to line up square. If I had a second pair of hands I would offload that faff in a hertbeart and get stuck into the fun pinning and machining straight away. The first bag is always the most time consuming and fiddly with infinite double, triple checking and muddling through. Upon completion of bag number one I have to admit to almost welling up as it was far, far nicer than I could have hoped for. As a deeply amateur crafter/sewer* my capabilities are minimal and massive credit to the wonderful tutorials I followed, both of them were invaluable and together made things happen. My total output was six for Christmas and one for a spring birthday. As I've made mention of previously, family don't consider me a 'creative' person and consequently the feedback was that of high praise indeed (as a result of surprise, I suspect!) which made me glow in an awkward but happy way. My next mission has been to make myself one because they were really nice and I want to sling all my shopping in it and enjoy the lovely fabric! But typically, because there is no deadline (and it's been a busy spring/summer) I haven't made a start. Unfortunately my mind is drawing a blank for this year's inspiration but I've got a little while to plan and execute before then. Have you hand made presents? How did it go? I recognise those, or one of them at least. I use it a lot, for all sorts of things. At the moment it's keeping a crochet tidy and out of cat reach. And I use it all the time for shopping, particularly for charity shop jaunts. Thank you so much, it's such a thoughtful present, and I'm touched by how much thought and effort went into making it. 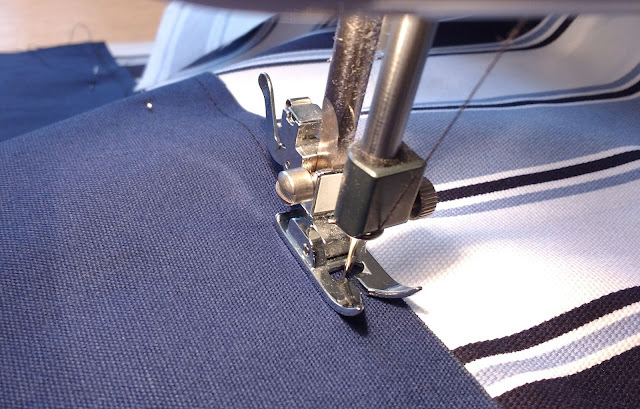 I pulled out my sewing machine the other day, which I haven't used in more years than I care to think about, with the intention of making a tote bag. The machine is still sitting in a corner because I hadn't found a good tutorial for the bag. Your bags are beautiful and I think I will use the tutorial you link to. Also, I have been reading your blog for years and your photographs are always gorgeous. I live in the US and they provide a fantastic bit of armchair traveling in my life. As the PROUD recipient of one of the bags, I could not BELIEVE how professional it looked and how lovely! It was one of my top 3 Christmas presents!